The Axiohm A795 has been discontinued. No direct replacement is available. Designed for hospitality and general retail applications, the A795 Two-Color ColorPOS Printer is the fastest and probably the most reliable printer in its class. Best of breed, this extremely small footprint, single station printer offers the reliability you have come to expect from Axiohm. 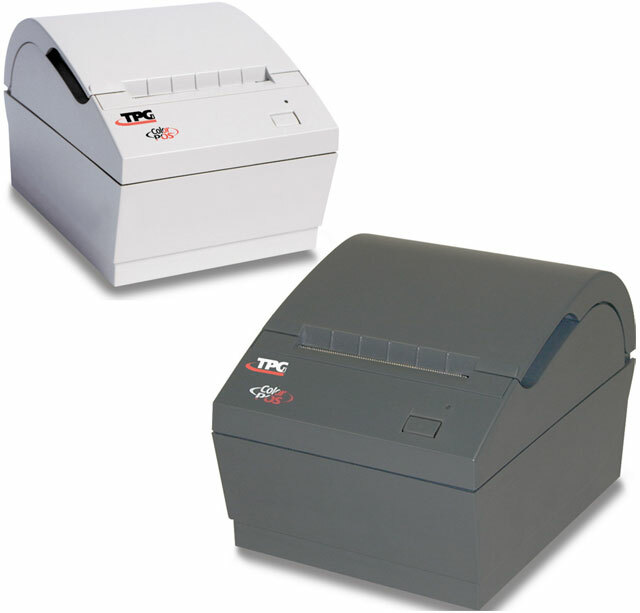 Thermal, two-color printing, 53 lps, USB & serial interfaces. Includes auto-cutter & power supply. Order cables separately. See accessories. Color: black. Thermal, two-color printing, 53 lps, USB & serial interfaces. Includes auto-cutter & power supply. Order cables separately. See accessories. Color: gray. Thermal, two-color printing, 53 lps, USB & serial interfaces. Includes auto-cutter & power supply. Order cables separately. See accessories. Color: white.